All of our garden maintenance team in SW6 are gardening professionals who are dedicated to working with the utmost attention to detail. 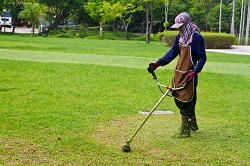 Armed with all of the latest equipment and tools, our Fulham gardeners can take care of all of your lawn care and weed control needs quickly and efficiently so that you can get back to your garden in the quickest time possible. So don’t let a cowboy company work in your garden, when our reliable firm based in Fulham is on hand to help. If you have unruly hedges, bushes or trees in your garden call our reliable gardening team in Fulham for some specialist help today. Our gardening professionals in SW6 are experts at hedge trimming and pruning and can transform your tangled bushes into sculpted, artistic designs. Fully-trained at tree-felling, our gardening experts can even remove large branches or trees from your garden with ease. 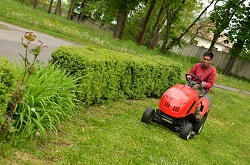 So if you want to make your garden neat and tidy for all to see, our trimming and hedging team in Fulham have the gardening tools and know-how to help. All of our gardening services we provide across SW6 are also available on a flexible mix and match basis and can be tailored to meet your individual garden needs. During the summer months you may find that you need someone to take care of your lawn mowing, while in the autumn you may need some help with your day-to-day leaf clearance. Happy to work on an ad hoc basis, our gardening team in Fulham can pop round to your garden almost whenever you need. 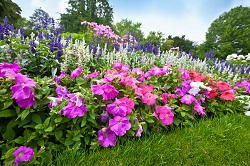 So if you need specific garden maintenance help, call our gardening professionals on 020 8434 7256 now. If this has happened to you then why don’t you call our gardening experts in SW6 for a little helping hand? 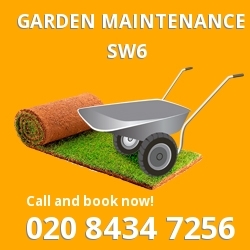 Our Fulham gardeners can help you to get the five-star finish that you wanted without any of the stress or hassle. So if you’re based in and around the Fulham area and need some help with your hedge trimming, lawn care, leaf clearance or planting, call London Gardeners on 020 8434 7256 today. If you’ve just moved into a new home in the Fulham area and want someone to give your new garden a quick tidy up then call our SW6 garden clean up team on 020 8434 7256 for a quote today. 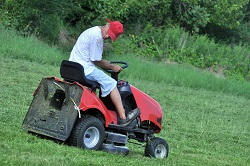 All of our gardening services are transparently priced and will never have any hidden costs for you to worry about. In addition to this, all of our gardening packages are competitively priced and will never leave a big hole in your makeover budget. Designed to take care of everything from your lawn mowing to your garden waste removal, our garden tidy ups can be the quick and cheerful update that your new garden in Fulham needs.